Thank you for your interest. This trip is now full. If you would like to be placed on the waiting list please email us. 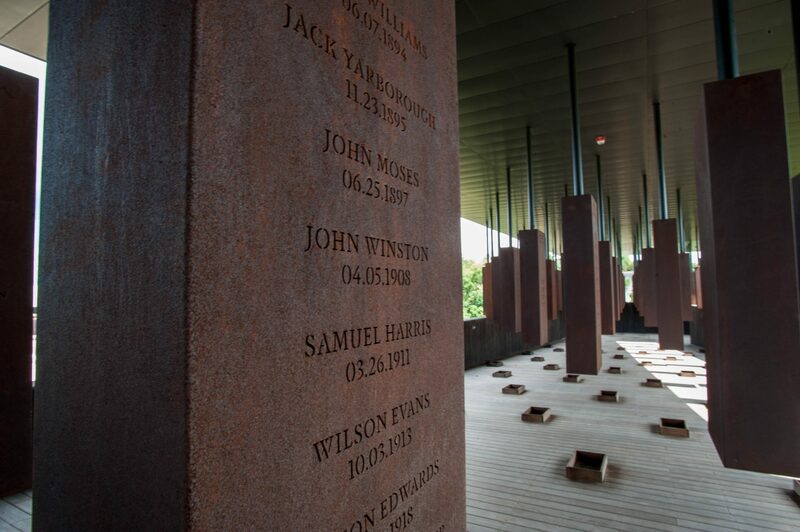 The experience of the National Memorial for Peace and Justice is among the most important places of learning and storytelling in America. This will be a pilgrimage among peers to visit a place that will undoubtedly conjure important and transformative dialogue. The focus will be on experiencing the sites together, sharing meals, creating time to sit together responding to the questions that are posed by the experience. Our co-leader for this field trip is Robin White, a wisdom-teller who throughout her life has opened doors that others would prefer remain shut. She’s also a senior leader in our national park system and a friend to Knoll Farm as well as a form Better Selves Fellow. Thursday, May 2: Meet in Montgomery by 5:00pm for a group dinner. We will stay in downtown Montgomery. Friday, May 3: Visit National Memorial and the Legacy Museum followed by lunch and group dialogue at The Jubilee Sanctuary. Saturday, May 4: Visit the Rosa Parks museum and then return to the Jubilee Sanctuary for dialogue. Sunday, May 5: Depart at your own pace. We’re limiting this to a group of 24 so we get to know each other and be comfortable talking about the experience. Knoll Farm is offering this field trip with our nonprofit colleague, New Learning Journey, in order to make 4 spots completely free to be accessible to anyone. Please contact Peter for more information on this. The shared cost of $675.00 per person includes everything (food, lodging, entrance tickets, travels costs for Robin). Participants will pay their own travel costs to and from Montgomery. Thank you for your interest. If you would like to be placed on the waiting list, please email us.